Step 3: Enter the garage and find the call box to your left. Step 4: Enter the 4-digit access code. Step 5: The elevator is straight ahead or for first-floor units, take a right down the hallway and follow signs to your apartment. 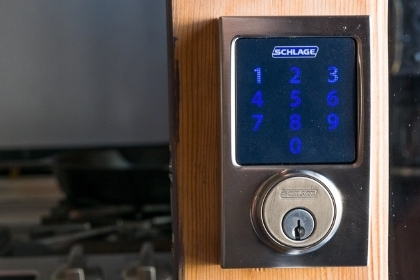 Step 6: Enter apartment using 4-digit code. Step 3: Exit vehicle and locate the call box on the left by the jellyfish mural. Step 7: Grab key fob and parking tag. Step 8: Return to vehicle. Step 9: Click the button on the fob to open the gate. Step 10: Park in any unreserved spot and hang parking pass from rear view mirror. Step 11: Head back to your appartment.